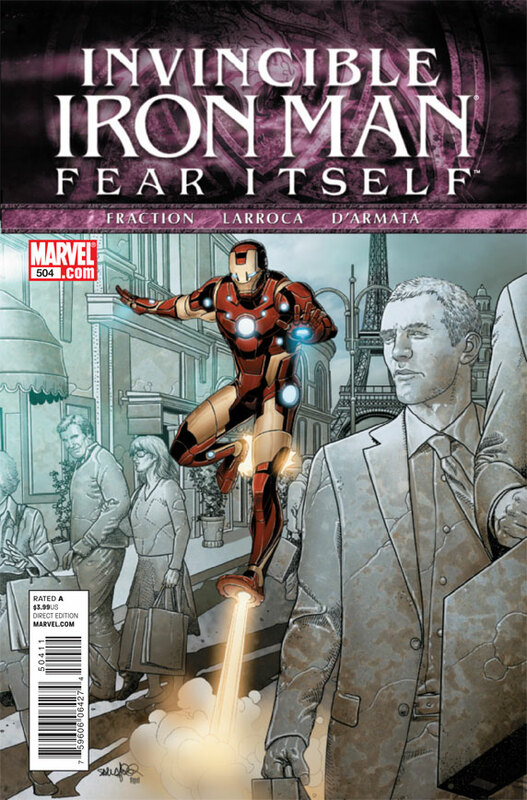 Invincible Iron Man #504 ties in to Fear Itself and sees Tony traveling to Paris to investigate the “impact site”, only to find everyone turned to stone. Who could have done this? Well, you’ll have to read to find out. After the lack-luster first two issues of Fear Itself by Iron Man scribe Matt Fraction, I began to worry that his tie-in on Iron Man would be a letdown of the series’ stellar quality. Thankfully, I was wrong (this wouldn’t be the first time I was proven wrong). 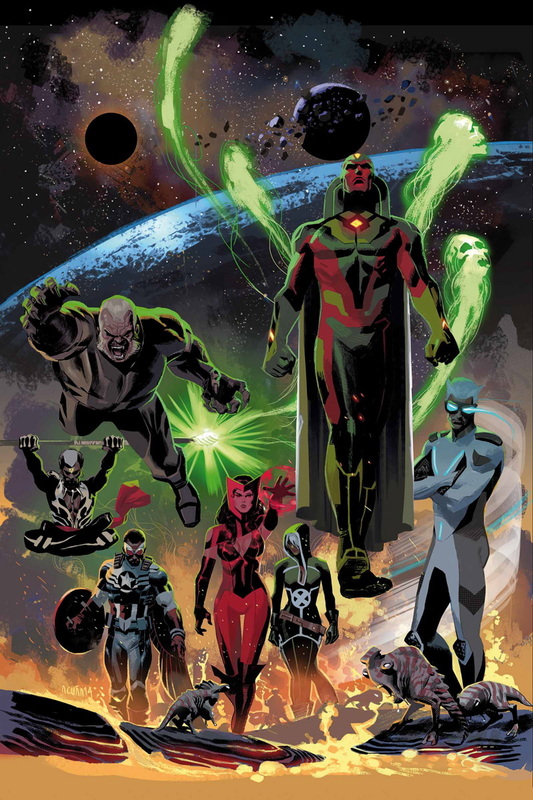 The biggest issue I’ve had with the main Fear Itself series is its pacing. It’s two issues in, and not a whole lot has happened. This is not the case at all here. There’s barely any time wasted getting Tony to Paris, and what little time there is before hand, we get some smaller developments in the running plot of Invincible Iron Man, which I was glad to see. As I’ve said before, there’s no one more qualified to write Tony Stark and Pepper Potts than Matt Fraction, and even with the little time they spend together in this issue, we get a funny little exchange that shows his craftsmanship. The plot he’s weaved for this issue is definitely captivating, and you really get a sense of scale once Tony shows up in Paris and sees some horrifying things. And the best thing about this: you really feel for Tony and his panic about what he’s up against. Sorry to be so vague, but I don’t want to ruin it. The art duo of Larroca and D’Armata are on their game here as well, as we get some of the best visuals in this issue that we’ve seen in this entire run. Every issue since the bleeding edge armor was introduced we see a little improvement from the art guys, and this month is no different. As far as I’m concerned, this is the best his new armor has ever looked so far. 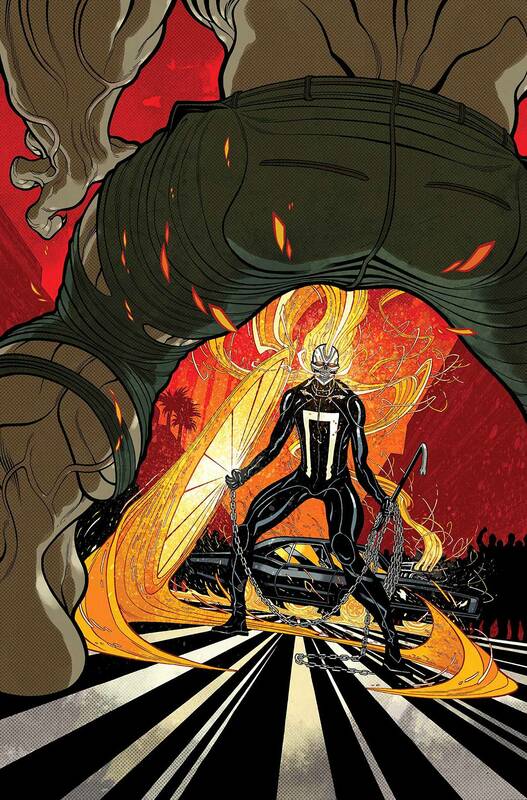 One thing of note that I’d like to bring up, is that, thanks to the art, the villain genuinely creeped me out and helped me to relate to Tony’s fear. New Reader Accessibility Rating: 4 In addition to tying into Fear Itself, it does pick up some small threads from previous issues, even though they aren’t a huge part of the story, so you might scratch your head a bit, but I’d say it’s a decent jumping on point. Recommendation: BUY IT. If my constant praise to this series hasn’t made you jump on, do it now! Seriously, go and buy it! 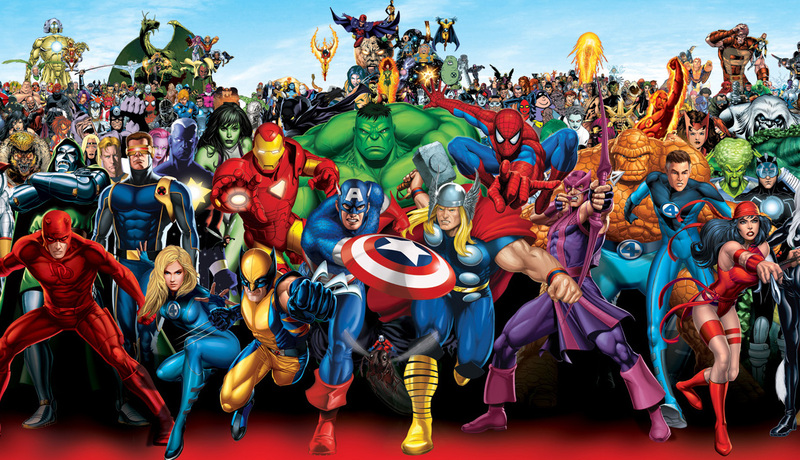 Just a Canadian who likes video games, comic books and all that cool stuff. You can find me most places as batmanboy11.